Emoji's are everywhere and can now be found in sticker vending machines. 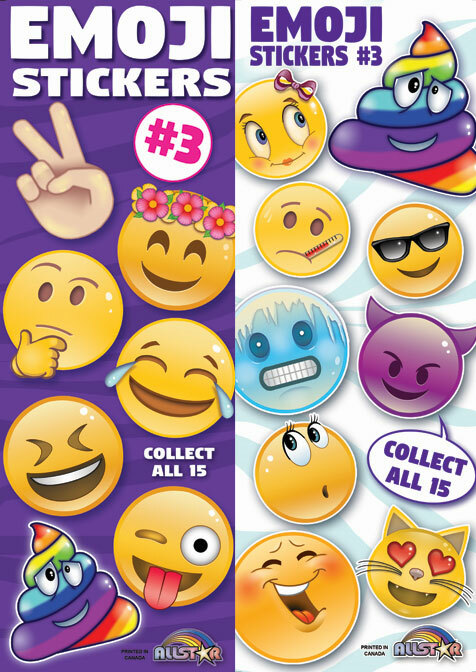 This is the third series and includes the nerd emoji, poop emoji, heart eyes emoji, and more. Collect all 12! These vending machine stickers are made specifically to vend in most standard sticker or tattoo flat vending machines. Each sticker is packaged in an individual cardboard folder measuring approximately 4 1/2 x 3 inches. They are ready for your convenience to easily load or refill your bulk machines. Display card is included FREE.